Made up prominently of polyester. 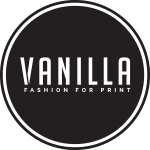 The Vanilla clothing range is perfect for sublimation decoration. Vibrant colours and on-trend designs will make your garments pop!